The Royal Humpy is a variant of the Humpy and has proved to be an excellent fast water pattern on both sides of the Atlantic. It has great buoyancy and visibility. Tail : Dark moose hair. Body : Red tying sik or floss. Overbody : Black deer hair. Wing : White calf tail. 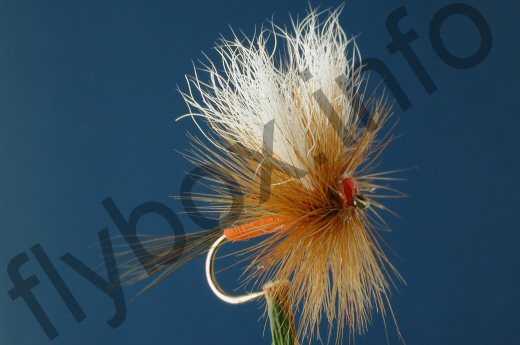 Currently there are no comments about the Royal Humpy fly pattern from other fly fishermen yet.